Bay Trail in a notebook. 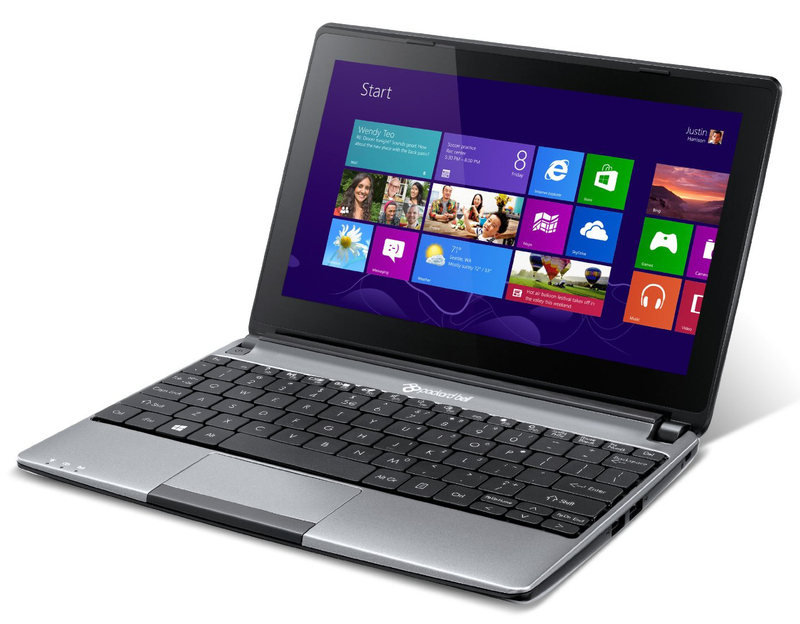 Packard Bell's 10-inch notebook is already available for just under 300 Euros (~$410). For that sum the buyer will receive Windows 8, a touchscreen and MS Office Home & Student 2013. The device runs on a new Bay Trail Celeron. Is the little notebook worth the money? Our review reveals the answer. N2805: Soc with an integrated dual core Atom processor clocked at up to 1.46 GHz and an Intel HD Graphics GPU.» Further information can be found in our Comparison of Mobile Processsors.